I got this award today from the lovely Dajana, http://dajana-bakerscorner.blogspot.com/ so sweet of her she's a Croat from Bosnia married to an Italian and cooks amazing Italian and European cuisine, check out her blog. Oh and she writes in both languages impressive. I am a Brit living in America, married to an Indian and I cook a lot of Indian food, so I can really relate to the merging of two cultures. 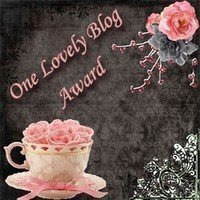 I am supposed to pass along to 10 new blogs, but I just posted 8, http://dietitianforhire.blogspot.com/2009/06/friend-award-and-lunchtime-memories.html so I am going to give one to Gina at the Candid RD I love her blog, http://candidrd.blogspot.com/ and one to Sweta of Bonne Nutrition http://bonnenutrition.blogspot.com/, really my first blogging buddy so she has a special place in my heart. Now onto Breakfast I made this yummy oatmeal or porridge as us Brits call it! 1/2 oats 1 cup milk, frozen berries - blueberries, raspberries and strawberries and a little sugar. Oatmeal fills you up good and is a great source of soluble fiber to lower cholesterol and control blood sugar, also its great for babies! Oh Reb-you're my FIRST blogging buddy too :) It's just been a couple of months now-but I feel like I've known you for ages!! 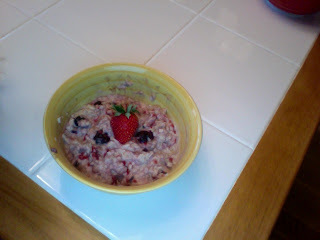 Love the Berry Good Oatmeal-anything with berries is great! I love oatmeal and berry....but haven't tried to put them together. I mean if I have berries around, they are usually long gone before I could use them for a breakfast. Oatmeal sounds great with berries! Congrats on your award! Oatmeal. Does a body good. It's been a while since I've had myself some good ol' fashioned oatmeal. Yeah! Thanks so much for the award, I'm touched :) So I LOVE frozen berries, but lately I've been buying a lot more fresh because they are so much cheaper (since they are in season now). I've always liked frozen berries better, but I'm starting to really like the fresh! 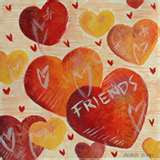 I'm scared that once summer is over I will miss them terribly :( Oh well, berries are good no matter what! Have a great weekend, and thanks again for the award! Hi. It's my first time here and I think oatmeal is great with berries! Berries are not so common here so I put mangoes and bananas in mine.